We’ve all read magazine articles where your It girl du jour is asked, “If stranded on a deserted island, what’s the one product you cannot live without?” The response is usually some exclusive miracle cream that’s guaranteed to set you back half a week’s salary. I’m always surprised that the answer isn’t “sunscreen.” Sunscreen is the one skincare product that addresses a myriad of concerns, particularly the skincare concerns of women of color. 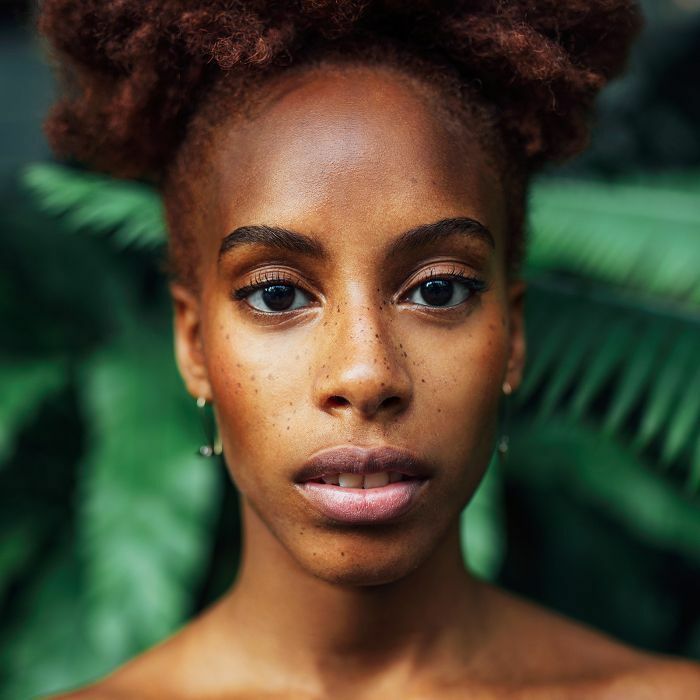 As a beauty editor, I’m constantly asked by other women of color, “What’s the secret to clear, even-toned skin?” Like a broken record, I always respond, “Sunscreen!” My response is usually challenged with a firm “But our skin doesn’t need sunscreen.” In reality, this couldn’t be further from the truth. In my experience, when it comes to skincare for women of color, we aren’t too worried about lines and wrinkles, particularly in our 20s, 30s, and even 40s. Our top skincare concerns typically revolve around uneven complexion, hyperpigmentation, blemishes, and dark spots. This is why the daily application of sunscreen is so crucial. It protects skin from the sun’s rays that can lead to uneven skin tone and exacerbate the presence of hyperpigmentation and dark spots. Broad-spectrum sunscreen also helps to shield skin from wrinkle-causing UVA rays. No one needs pre-mature wrinkles—no one! 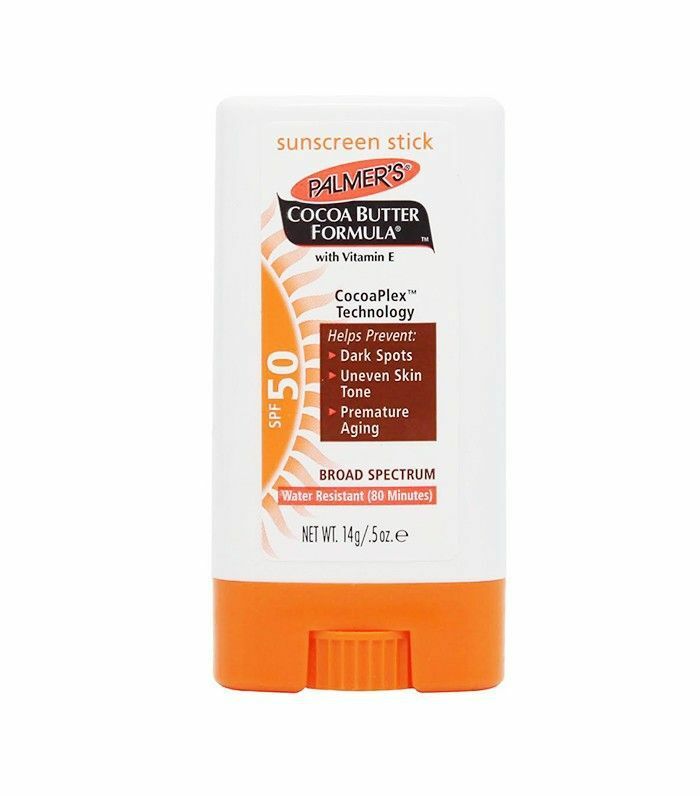 The drugstore MVP by far is Palmer’s Eventone Suncare Sunscreen Stick SPF 50. Why? It’s portable and priced right! Packed with cocoa butter, shea butter, and coconut oil, it protects skin from the sun’s damaging effects and helps prevent future dark spots from forming. While this might not be your go-to for days when you’re wearing makeup, it is the perfect stick to keep in your tote bag for midday touch-ups should you suddenly find yourself lunching in the park. It’s also a great choice if you’re a runner or into outdoor sports. I keep a few sticks stashed in my car and my beach tote for easy, on-the-go application. 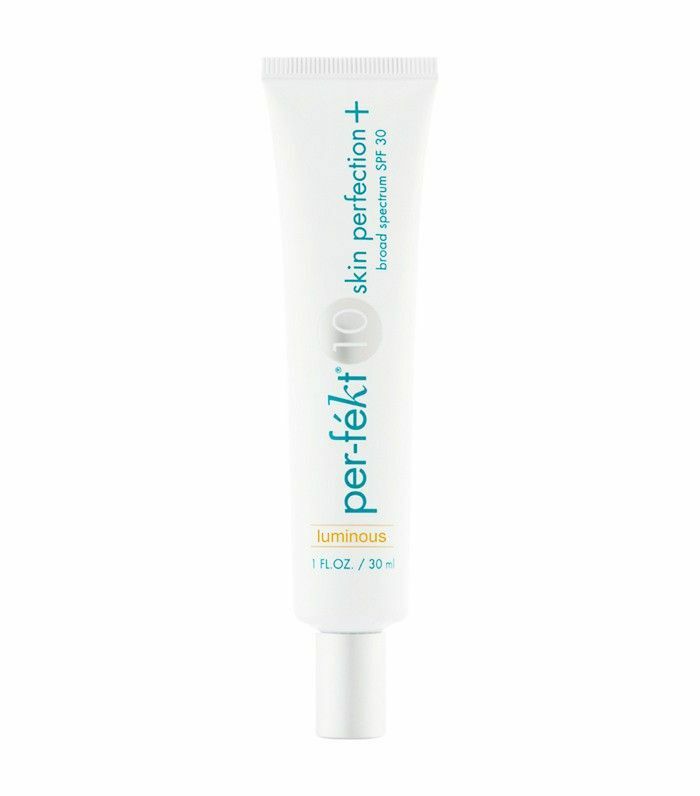 If you’re looking for a foundation alternative with some serious sun protection, give Per-fékt Beauty Skin Perfection Plus With SPF 30 a whirl. It comes in six complexion-enhancing shades that act as a skin-enhancing filter. It won’t give full coverage, but the mousse-like formula blurs the appearance of imperfections, similar to a BB cream. It’s part sunscreen, part skin confidence. Wear it alone or under your favorite foundation. 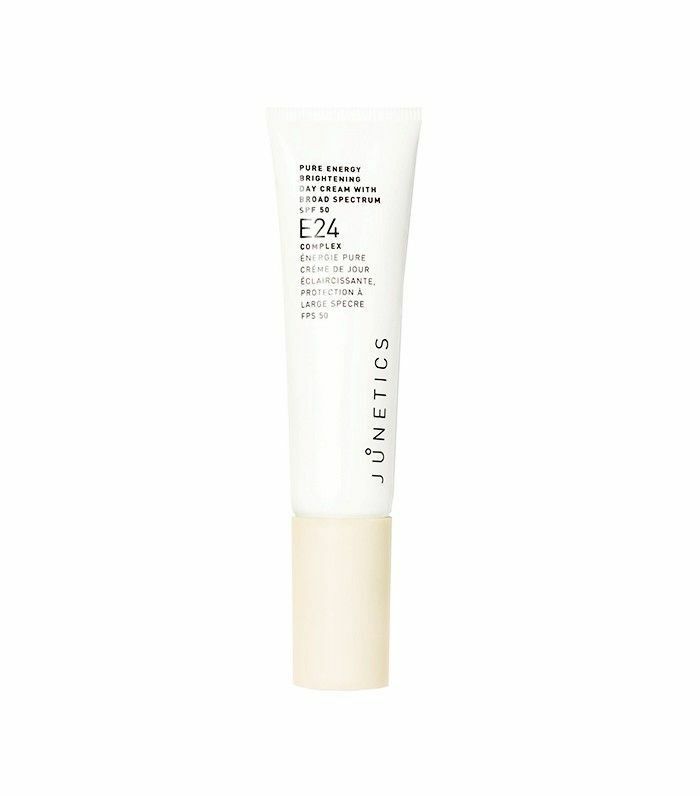 Brighten, hydrate, and protect with Junetics Pure Energy Brightening Day Cream With Broad Spectrum SPF 50. Thanks to a mix of copper, amino acids, and plant stem cells, this multitasking sunscreen protects skin from sun damage while imparting long-term smoothing and firming benefits. As an added summertime bonus, the finish is velvety smooth. Yes! 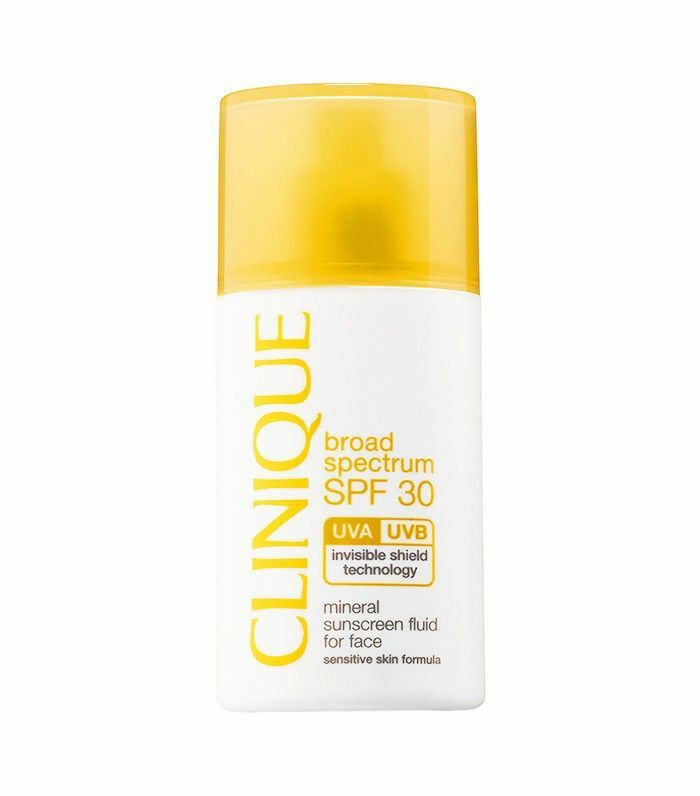 If a mineral-based sunscreen is your jam, Clinique SPF 30 Mineral Sunscreen Fluid for Face is for you! The comfortable, lightweight fluid can be worn by itself or paired with makeup. Give the bottle a good shake before applying and this 100% mineral sunscreen applies virtually transparent. If portability is a concern, this one fits in the palm of your hand. Genius! Protecting from the neck down is a breeze with Body Defence by Zelens Sunscreen SPF 30. The water-resistant sunblock glides onto skin and provides full-body broad-spectrum UVA/UVB protection. Chock-full of antioxidants, this silky sunscreen also works for hair. How’s that for a beauty bonus? Lift, firm, protect, and de-age the skin with this cream. This moisturizing, SPF-packed face cream improves the texture of skin in as little as four weeks after daily use. 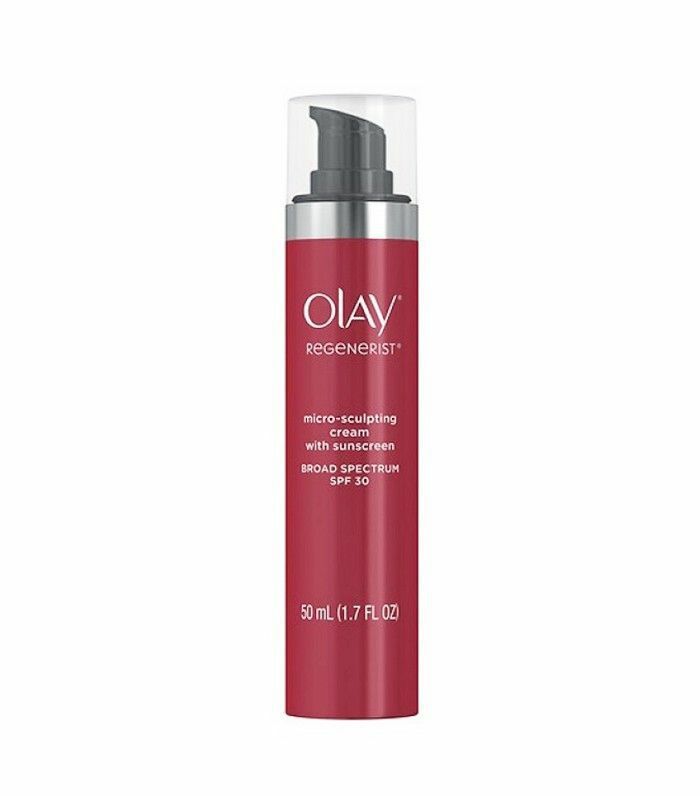 The advanced amino-peptide complex is loaded with anti-aging superstars like skin-plumping peptides and vitamins B and C. And makeup girls, rejoice: Olay Micro-Sculpting Cream is totally seamless under foundation. Your neck and décolletage need love too, so don’t slack when it comes to protecting these delicate areas. 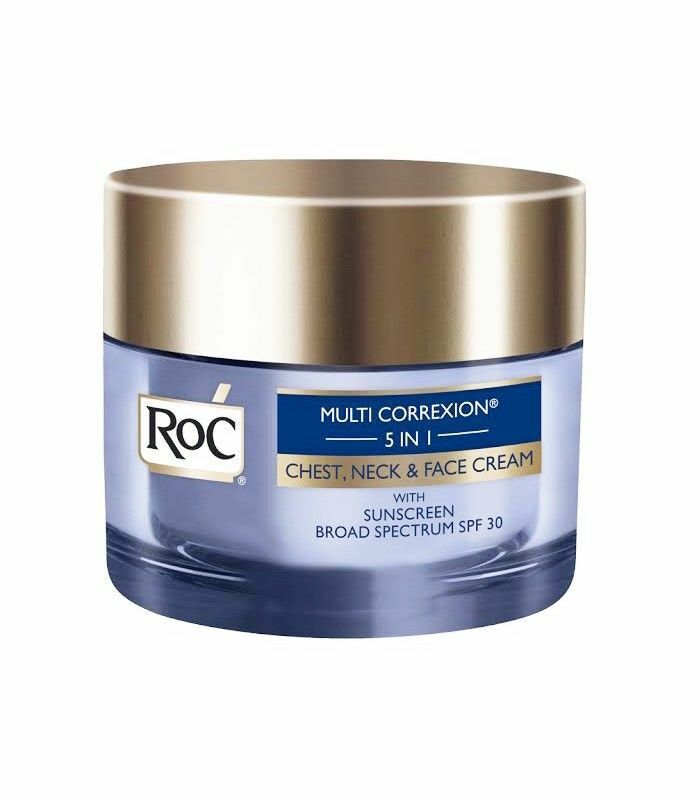 For broad-spectrum UVA/UVB protection that won’t leave a sticky white residue, add RoC Multi Correxion 5 in 1 Chest, Neck & Face Cream With SPF 30 to your daily skincare routine. Clinically proven to address hyperpigmentation, wrinkles, dullness, and loss of elasticity, this supercharged sunscreen applies like an elegant day cream and leaves skin well hydrated and thoroughly protected. As light as water, Exuviance Sheer Daily Protector SPF 50 is an anti-aging workhorse because of its PA++++ rating, which is the strongest defense against UVA rays (the rays that age the skin). The sunscreen’s light tint will give you a moment of pause, but stay the course—apply and you’ll see. 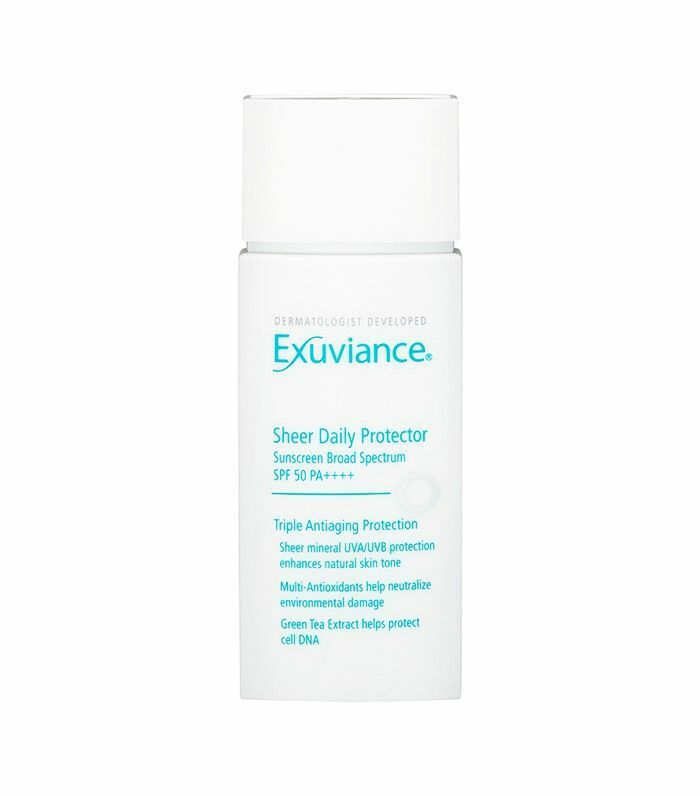 Exuviance Sheer Daily Protector dries to a sheer, matte finish. It’s perfect as a stand-alone sunscreen or as a primer. Either way, you can’t lose! 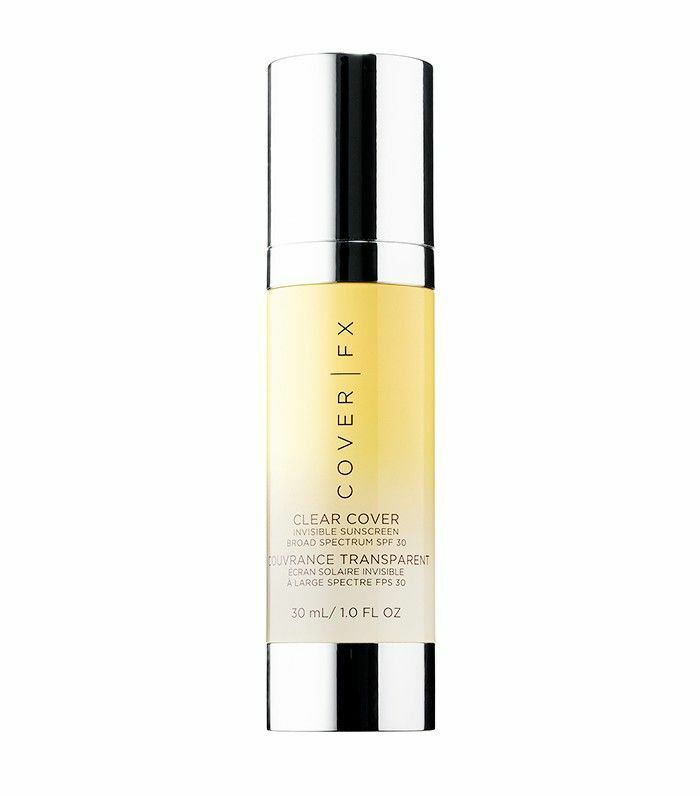 For a sunscreen that applies completely clear, try Cover FX Clear Cover Invisible Sunscreen Broad Spectrum SPF 30. The see-through formula melts onto skin, leaving behind not a single trace of white or gray residue. Developed specifically to address the SPF concerns of African-American and Latino consumers, the antioxidant-rich skin protector works perfectly under makeup and is 100% undetectable in photos. Even facial oil is getting in on the act. 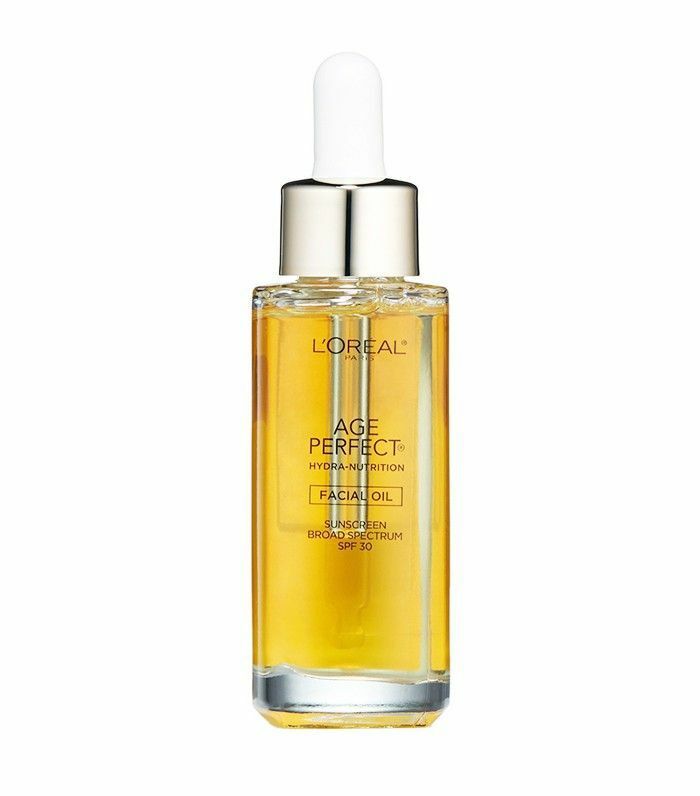 Glow and protect with L’Oréal Paris Age Perfect Hydra-Nutrition Facial Oil SPF 30. Suitable for sensitive skin, the elegant texture absorbs in seconds. Formulated with eight essential oils, it makes skin feel immediately nourished. Don’t let the word “oil” throw you for a loop. It takes about four to five drops to provide adequate sun protection, and this one feels weightless! Since tomorrow is the official start of spring, be sure to stock up on these hardworking sunscreens to keep your skin's glow up to par.